I’ve been working toward creating a unified & cohesive body of work lately.. and want to do so while still preserving the integrity of my work. I do not ever wish to paint from a dispassionate place, and be a contributor to the manufacturing of redundant and ornamental artwork. I care deeply that each piece that I devote my dear time and energy to, comes from a veritable experience in my life and therefore carries a richness in emotion. 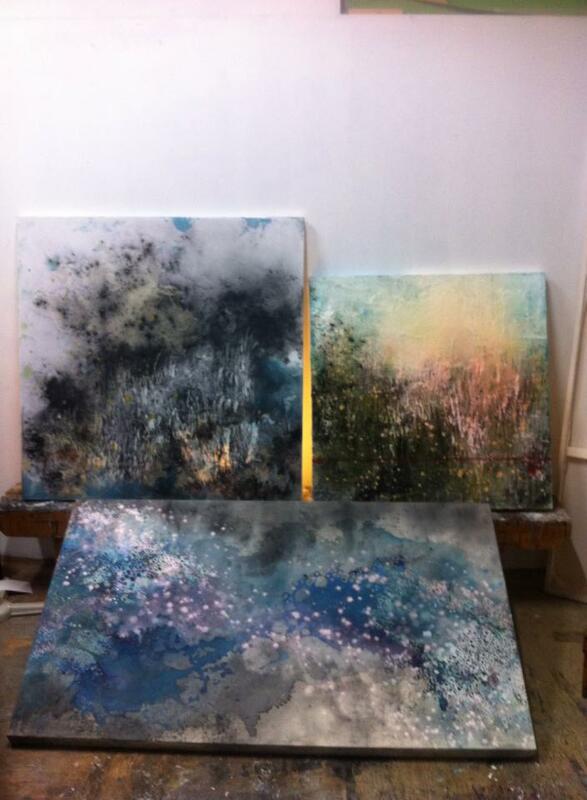 These three pieces that I am currently working on are the beginnings of a new cohesive body.. each with its own story and strength.